India had a bitter sweet day at Denmark Open as Saina Nehwal knocked out Olympic champion Carolina Marin of Spain but title-contender PV Sindhu suffered a straight game loss against China's Chen Yufei to crash out of the opening round. World No. 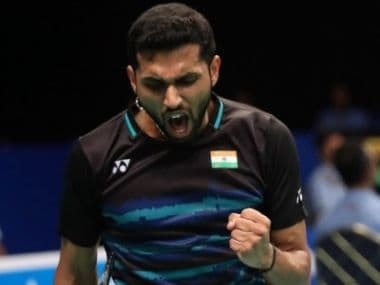 15 Prannoy recovered from a 6-11 deficit in the second game to oust local player Emil Holst 21-18 21-19 in a hard-fought match.